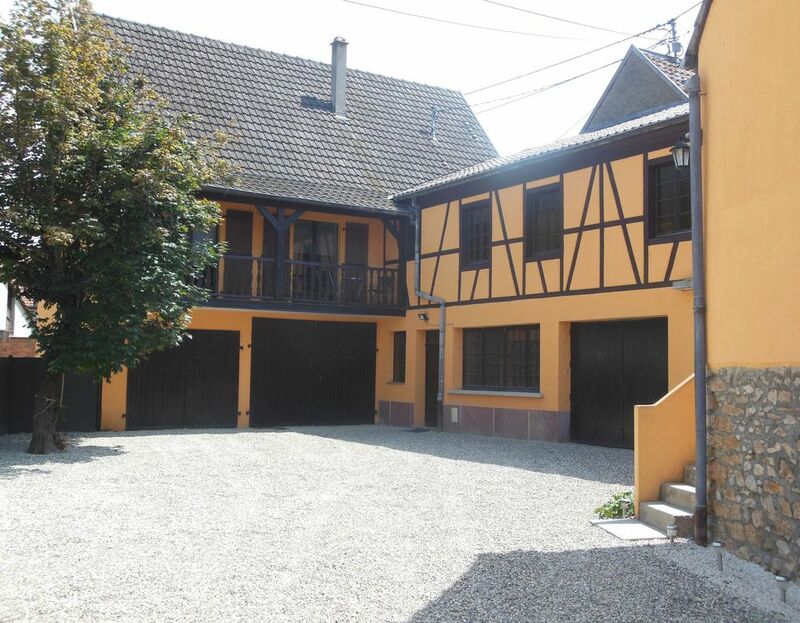 Enjoy the private wellness area in a contemporary cottage, located in Ingersheim in a pretty wine house near all shops and 3 km from Colmar surrounded by the most beautiful Alsatian villages where you can visit the vineyard, Alsatian villages, cellars, Christmas markets. The cottage has 3 bedrooms. New Spa area (Spa for 6 people, shower, armchairs) "private cottage"
New game room with billiards, table football private cottage "
Washing machine and dryer, hair dryer. Sehr freundliche Vermieter und sehr schöne Wohnung. Stimmt mit den angegebenen Dingen überein. Balkon und Terrassenplatz, sogar Wasch- und Trockenmöglichkeit - es fehlt an nichts!